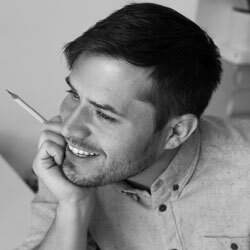 Is an English illustrator, working mainly across Europe for both large and small clients in the editorial, advertising and publishing sectors, you may also have seen him venture into the world of fashion, nothing is off limits. From his base in Bath, Somerset, Luke works regularly for clients such as The Financial Times and Highlife magazine (British Airways). As a side project Luke is currently working on illustrating his own book based on true stories from his father and uncle's time in the Police.